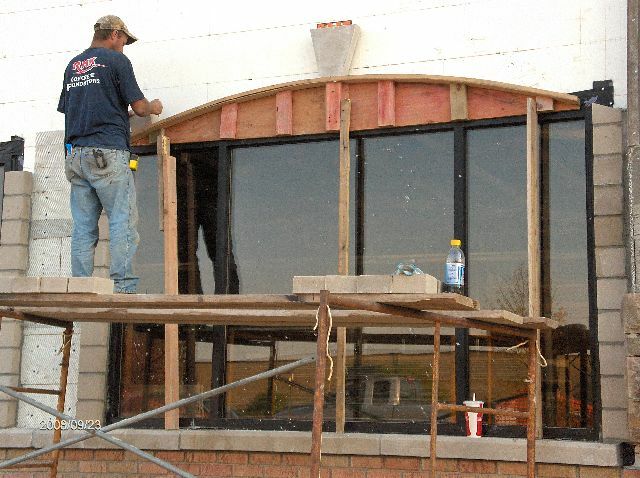 We last talked about Face-Brick-And-Stone-Veneer-Installation and we saw the completion of face brick installation work. As of today, the face brick installation is complete -- Great Job by Al and his crew . 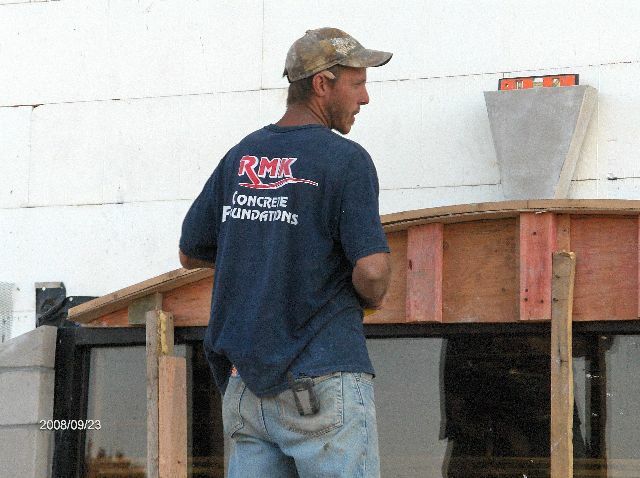 The stone veneer installation by Fox Brothers -- Stone Veneer Contractor's crew is progressing well. 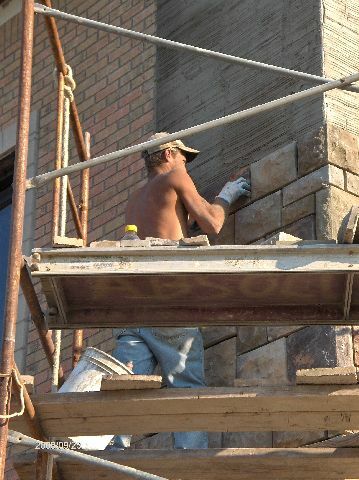 The stone veneer material is Cultured Stone wall veneer from Owens Corning, and the contractor is installing the stone veneer per manufacturer's instructions. 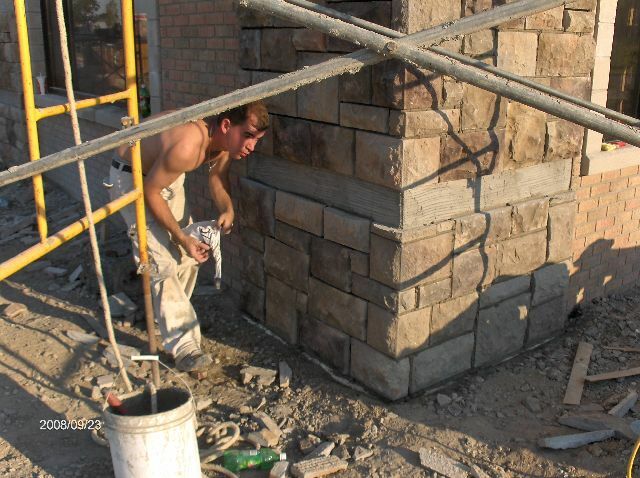 Here are some pictures of the cultured stone veneer installation work that I took today on Sep-23-2008 -- Jeff and John were hard at work when I left the site closre to 6:00 PM. I will keep you posted with more progress pictures as we go along.